Palestina Olive Oil comes from old-growth Palestinian olive trees. Palestinian olive trees are among the oldest in the world and are part of the natural Palestinian countryside. Some are over 1,000 years old and produce perhaps the most flavorful olive oil in the world. Palestina Olive Oil is not filtered, which means it’s very thick and bursting with flavor. It has the consistency of egg yolk and is a deep green color with very strong olive smell and taste. The problem with the oil is that it tastes SO good people are afraid to use up their bottle before the next harvest. Palestina Olive Oil is 100% pure. While much imported oil has chemical additives or is diluted, Palestina Olive Oil contains nothing but the juice squeezed out of olives in a first press. All proceeds from Palestina Olive Oil go to the Daily Hugz charity, which benefits Palestinian children and rescued animals. Palestina Olive Oil is vegan and animal friendly. Only Palestina Olive Oil is fertilized by rescued animals rather than chemicals or waste from farmed animals. The Olive Harvest is the most important period of the year for Palestinian villagers and is part of a tradition that has lasted over 1,000 years. It is marked by a festive and communal atmosphere in which the entire extended family takes part. 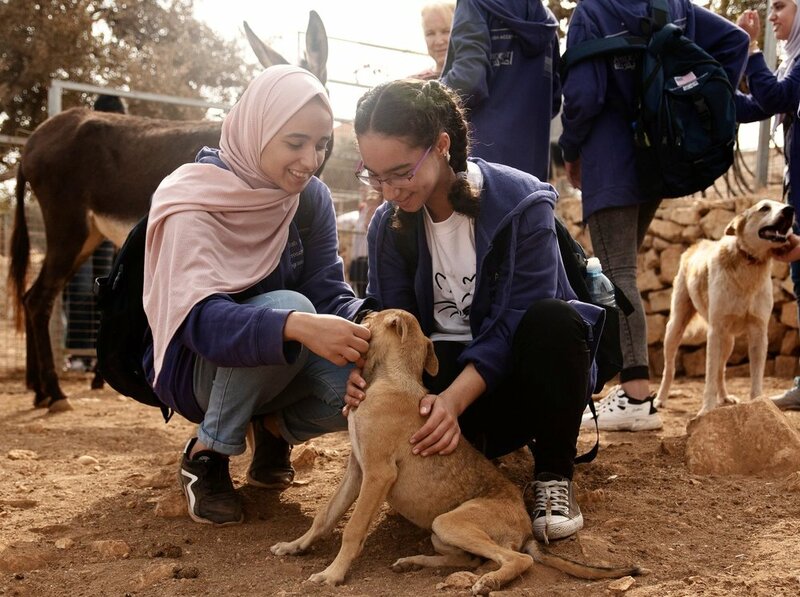 Palestina Olive Oil was first produced in 2016 by Daily Hugz, a non-profit that provides shared space in the West Bank for children to interact with nature and rescued animals. By sheer chance, the Daily Hugz sanctuary was established on an existing olive orchard. Since the first residents of the sanctuary were rescued donkeys, soon, the olive trees at the sanctuary began to flourish because of the abundance of donkey fertilizer. As a means to raise funds, Daily Hugz began picking the olives, pressing them and shipping the oil to the US. The response was so positive, Daily Hugz has been doubling the olive oil production every year since. 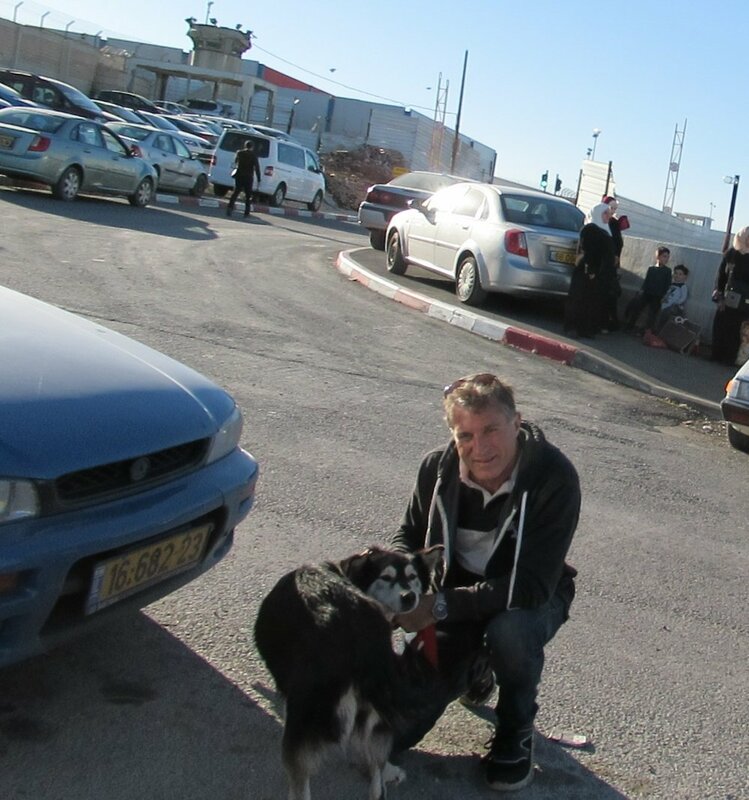 Maad brought Panda, a husky mix with a broken leg who somehow ended up in the streets of a small West Bank village, on a cross country tour of the US from January to March of 2019. Worst Blizzard: whiteout conditions on Montana/Wyoming border. Longest drive in one day: 870 miles (13 hours driving). Sarasota, FL to Lafayette, LA with deliveries in Tallahassee, FL and Hartford, AL. Favorite detour: Yellowstone Park, Wyoming. 100% of the proceeds from the olive oil go to fund the Daily Hugz sanctuary. Hummus means “chickpeas” in Arabic. But why pay for store bought hummus when you can make your own healthy and delicious dish? 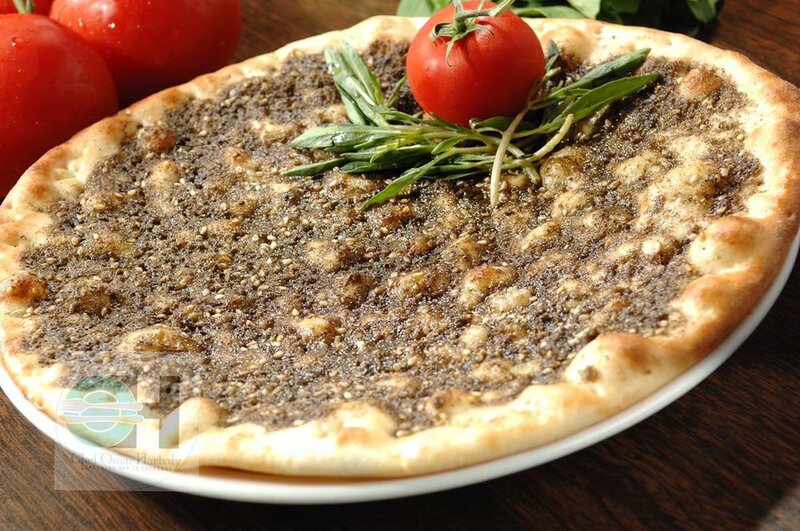 There’s no better way to savor the full-bodied taste of Palestina Olive Oil than to mix it with za’atar and bake it on a flatbread in this classic Arab dish. 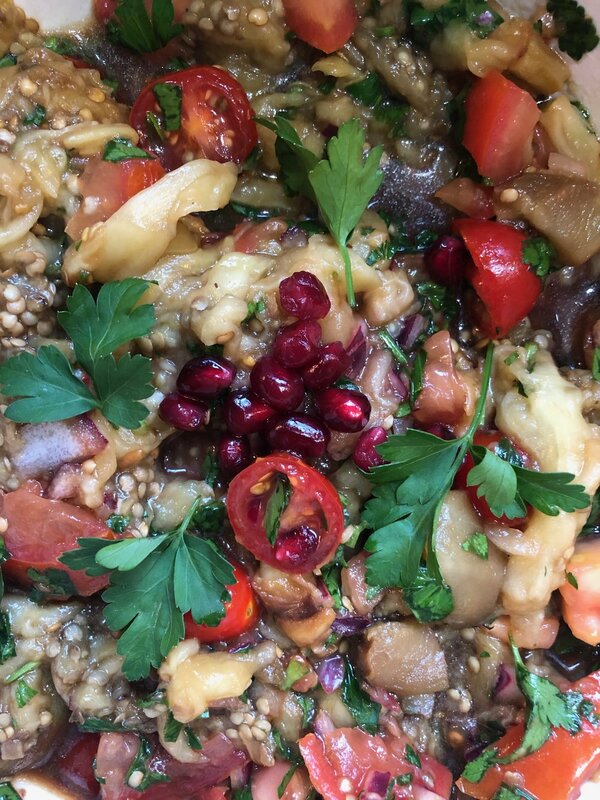 Bursting with flavor, this eggplant salad is the perfect appetizer to excite your taste buds. Because it’s time for the oil! 100% Pure + Unfiltered + Vegan Goodness Made with 100% Pure Love = Delicious! Because a warm embrace can heal a broken heart, make a monthly contribution of $10, $20, or $50 to the sanctuary or to sponsor a rescued animal at Daily Hugz. Copyright Daily Hugz and Palestina Olive Oil. Daily Hugz is a US 501(c)(3) nonprofit organization. Your donations are US tax deductible.